The things I look most forward to about Christmas are the simple things – getting together with family and enjoying some pretty terrific food together. 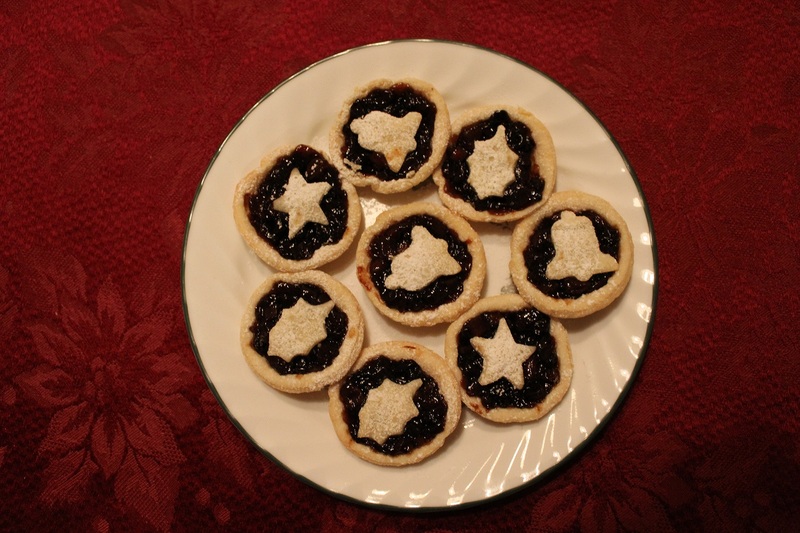 One really awesome thing about being a Canadian is that we get to enjoy a variety of foods with origins all across the globe; but the holidays are time to turn to traditional family classics. Growing up as the daughter/grand-daughter of British immigrants, our traditional food has roots “across the pond.” Like so many others, we enjoy turkey and stuffing, cranberry sauce, mashed potatoes and gravy, turnips and carrots, parsnips, yams, bread, sherry and wine. 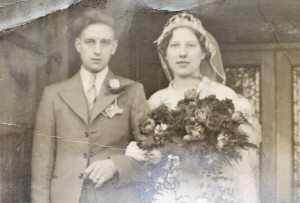 These things are enjoyed while wearing tissue paper crowns that come inside the Christmas crackers! My favourites have always been the desserts – there are many that we would only have at Christmas time. 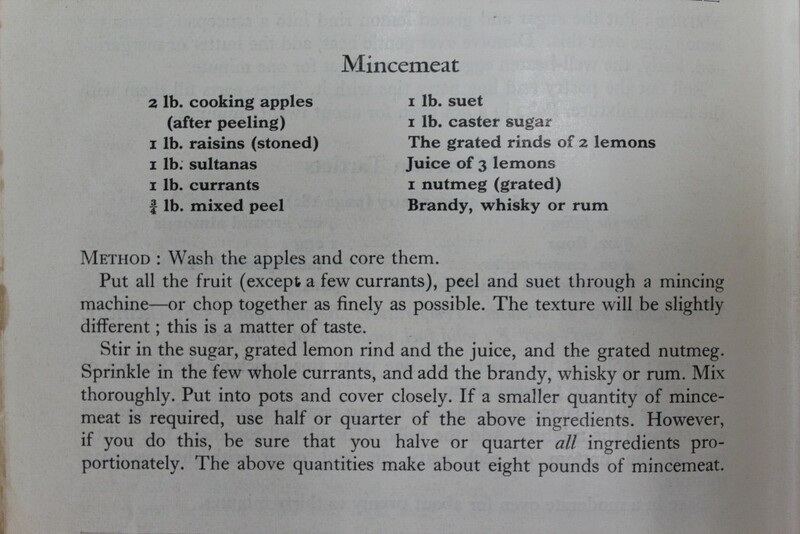 For the most traditional recipes, I turned to my beloved Grandmother’s cookbook. 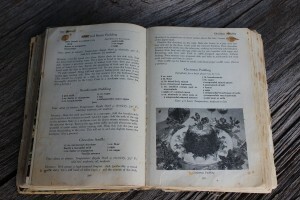 She acquired this book sometime in the late 1940’s, and as you can see it’s gotten a lot of use over the years. A stained page in a cookbook means it’s been open many times on a busy counter! It means a lot to me to have this book now. 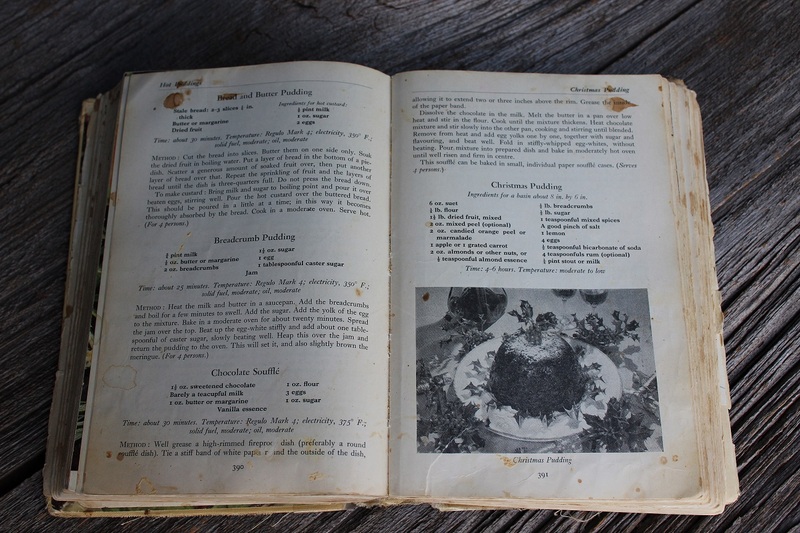 I also borrowed my Mother’s cookbook – it hasn’t been around as long, but it’s just as well-worn and appreciated. My Grandad would always make an amazing assortment of cookies, and my Mom continues to do this every year. I do not possess the knack for baking myself – when I try to make cookies, my children regard them with deep suspicion instead of enthusiasm. Unfortunately, most of the time they’re justified. My Mom loves to bake though – and is always willing to share! 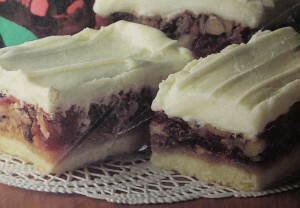 Soft ginger cookies, icebox cookies full of cherries and edged with coconut, thumbprint cookies with a dollop of jam, date squares, cherry coconut squares with nuts and icing, melt-in-your mouth Scottish shortbread fingers, and more. 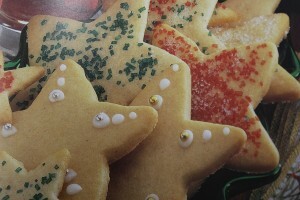 These cookies are around leading up to the holidays, and as long as they last afterwards – which is not long! 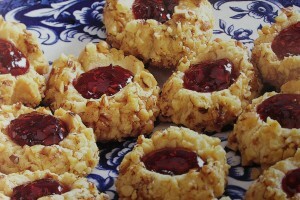 She makes very large batches, and shares them with friends as well. You could make a whole pie, but my family favours the little tarts, with a sprinkle of icing sugar on top. 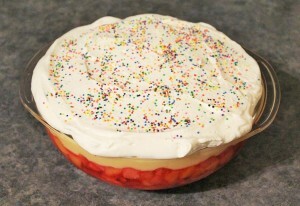 For the pastry, my Mom follows the directions on the lard box, but you could use your favourite pastry recipe. 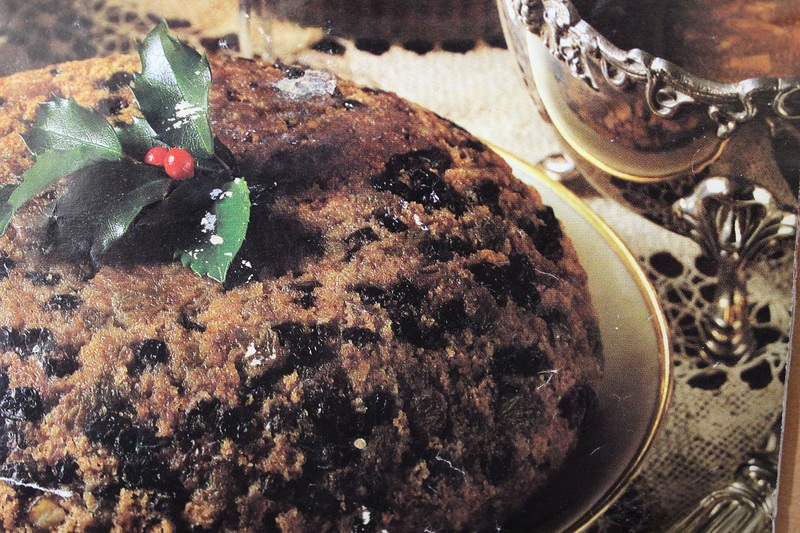 On Christmas Day we have a traditional Christmas pudding, which is a sort of steamed Christmas cake soaked in booze (usually rum or brandy). Just before serving, additional booze is poured over top and set alight, and is brought in with the lights dimmed like a birthday cake. When the fire goes out, a sweet white sauce is poured over top. 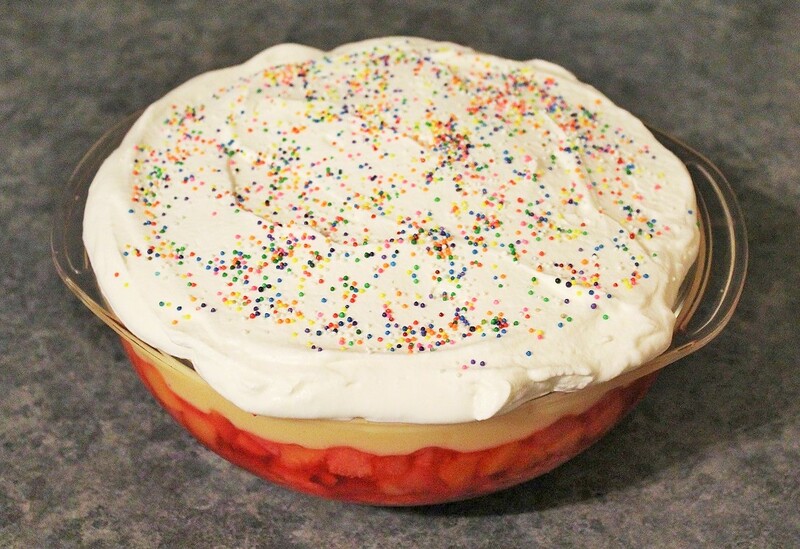 Another family favourite is trifle – there are many variations on this, but my uncles will attest that my Mom makes the best trifle ever! It doesn’t feel like Christmas without it. This is served in a clear glass dish – sometimes fancy, sometimes simple. This way, the colourful layers can be admired. So many delicious treats to look forward to! Happy feasting everyone!